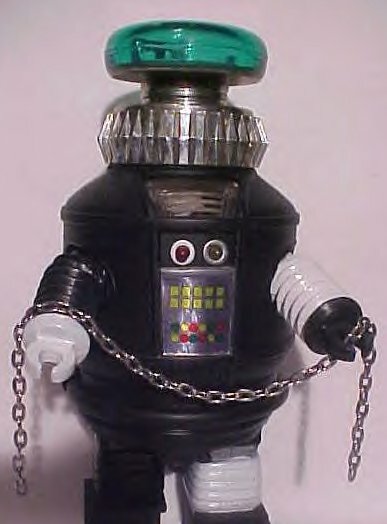 Lost in Space "Anti-Matter Robot" created just for fun. 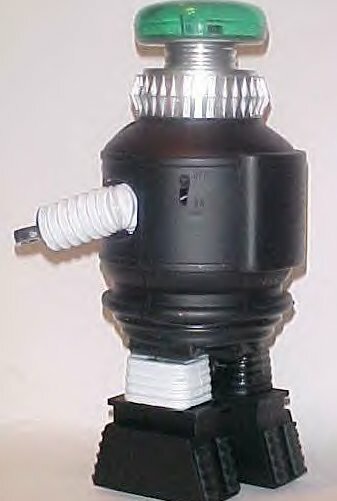 Includes chest light alternates from: red/pink/orange/purple for novelty only. 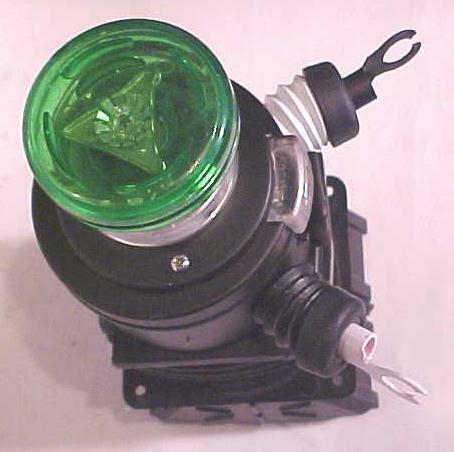 Custom light on-off switch. 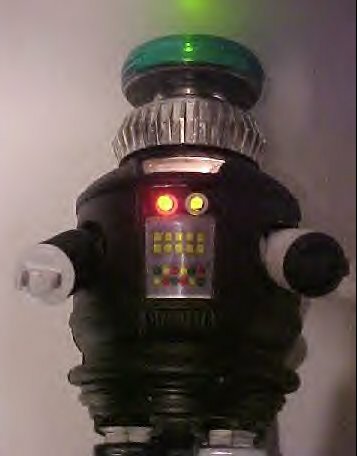 Little-switch facing the Robot. 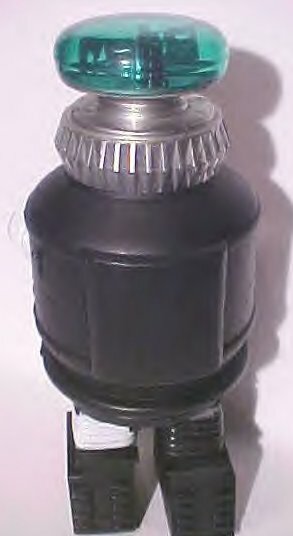 On left of control-plate. 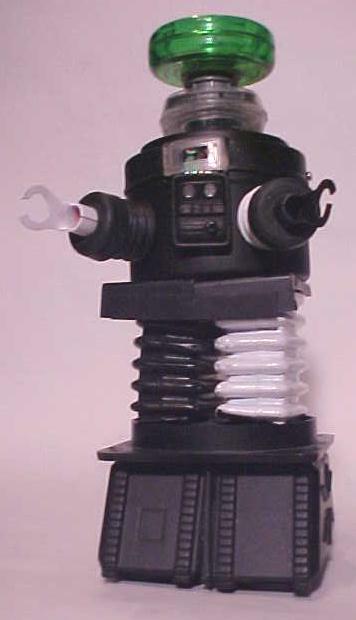 Tin barrel / rubber legs + arms / metal-claws / asst'd plastic. 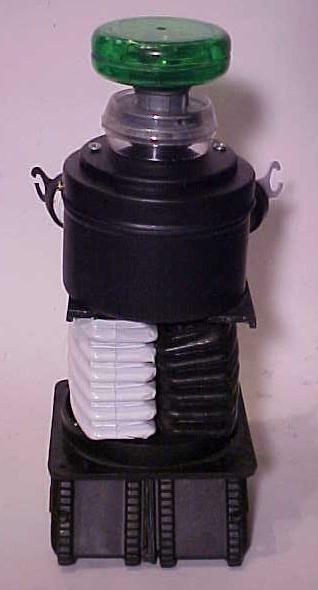 Bottom is finished off just for looks w/Wheels roll Somewhat. 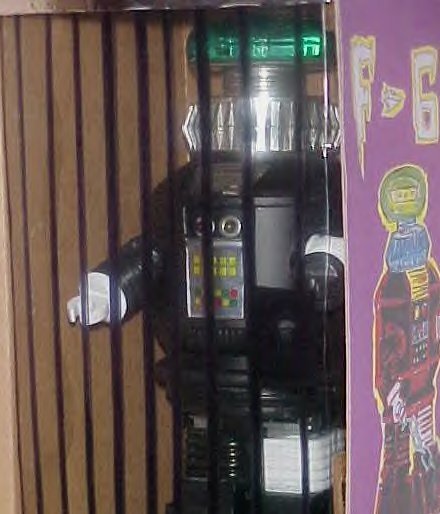 Robot stands approximate 9-inch tall. 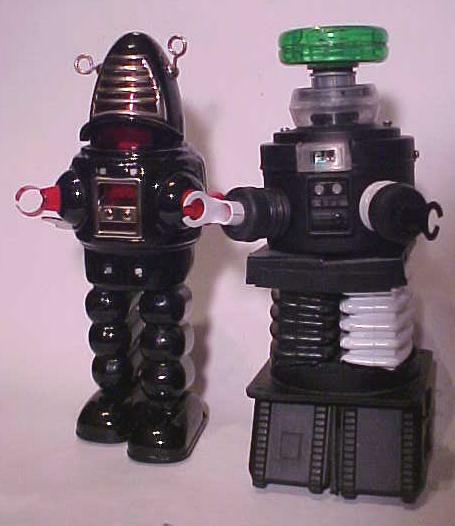 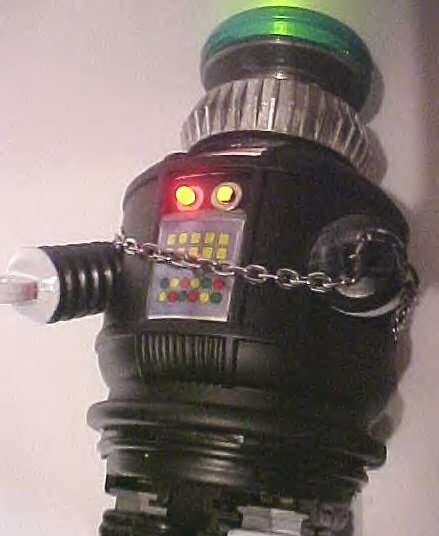 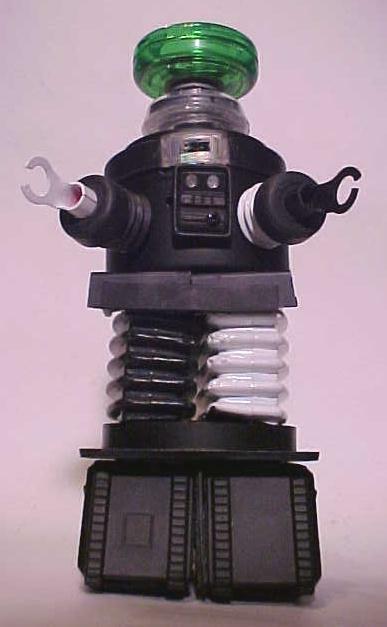 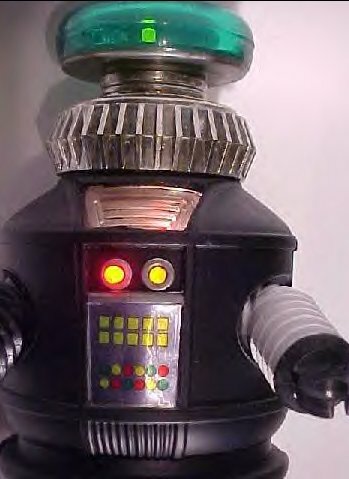 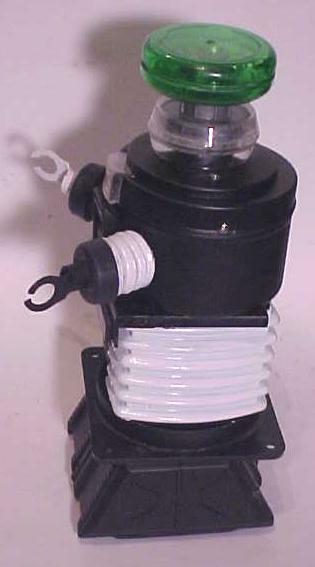 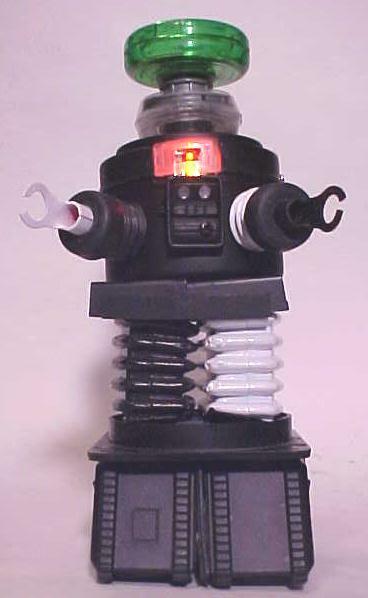 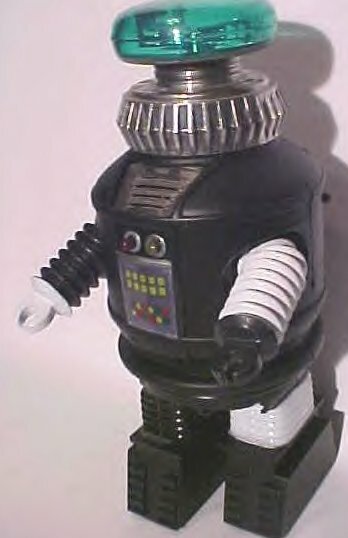 Other Tin Robby Robot, to Show for comparsion. 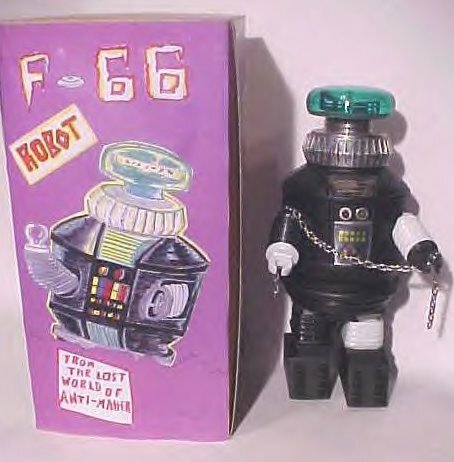 For serious collectors. 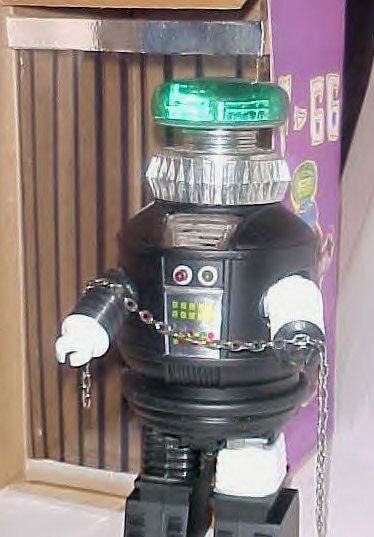 One of-a-kind Robot! 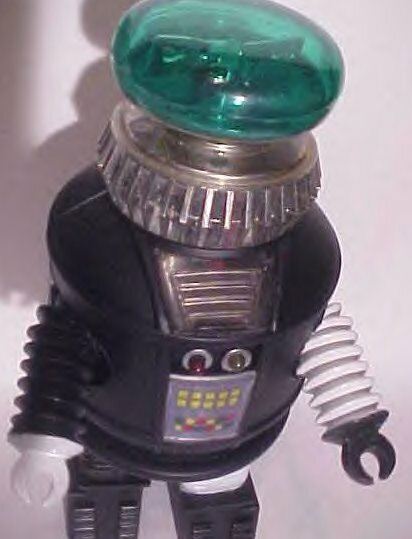 Created by Robot Master, "Jerry VonMueller"